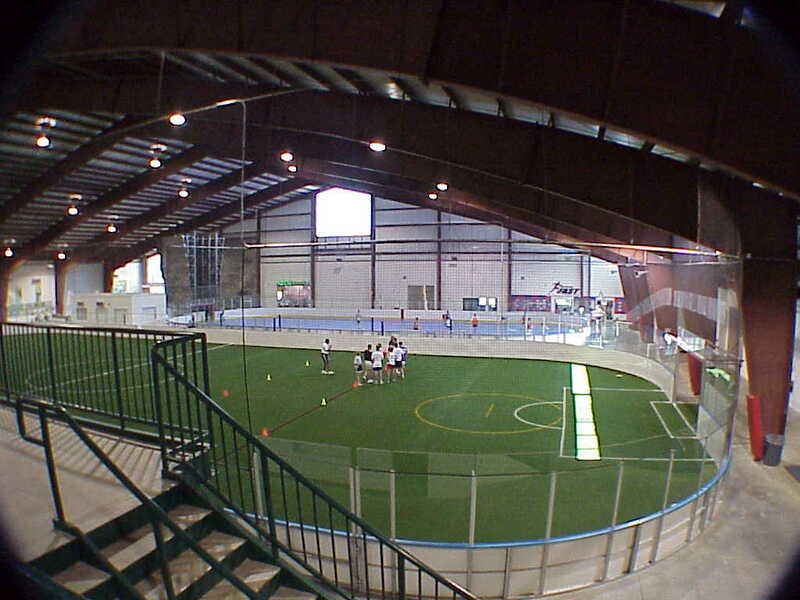 Large open spaces dominate this impressive recreational structure. 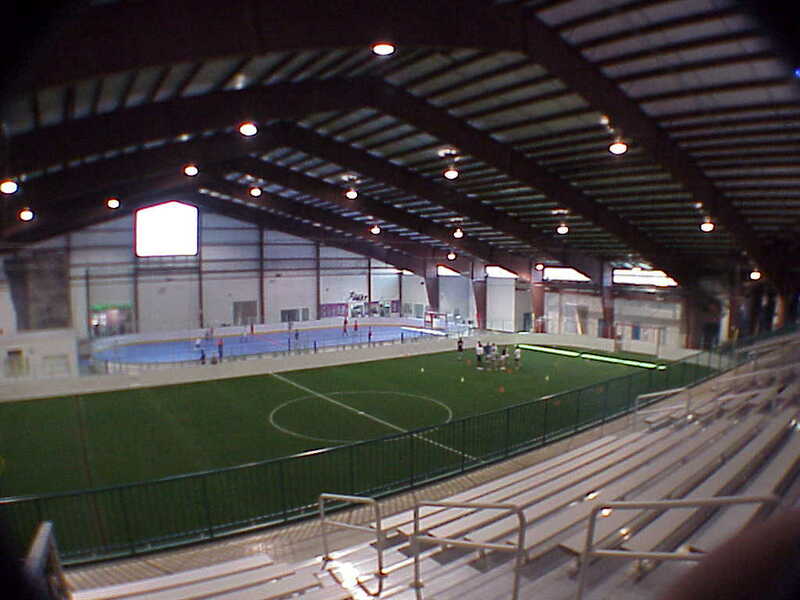 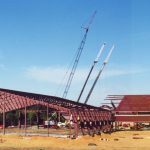 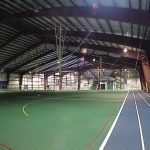 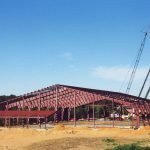 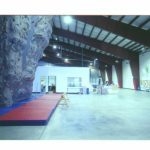 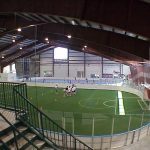 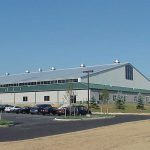 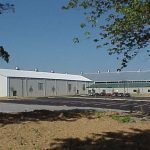 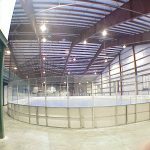 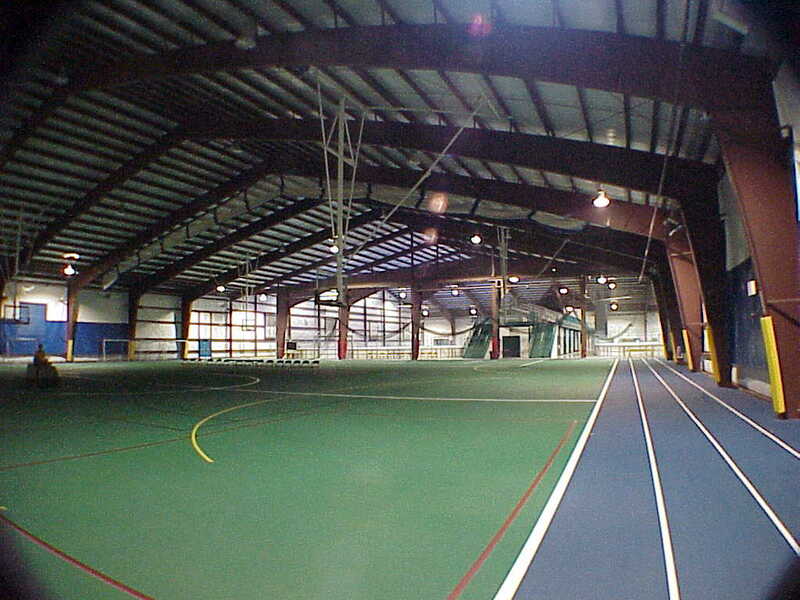 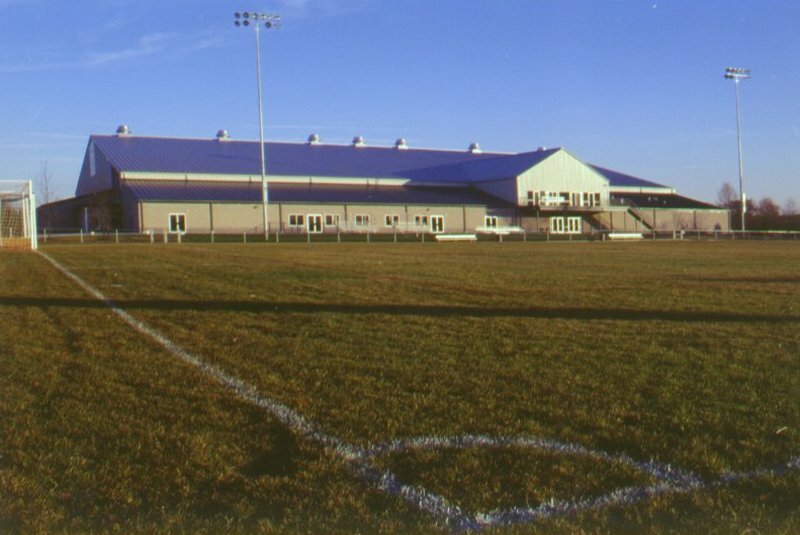 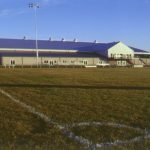 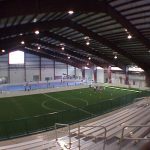 210′ clear span frames accommodate three indoor fields with dasher boards while the 160′ building houses basketball and other hard court activities. 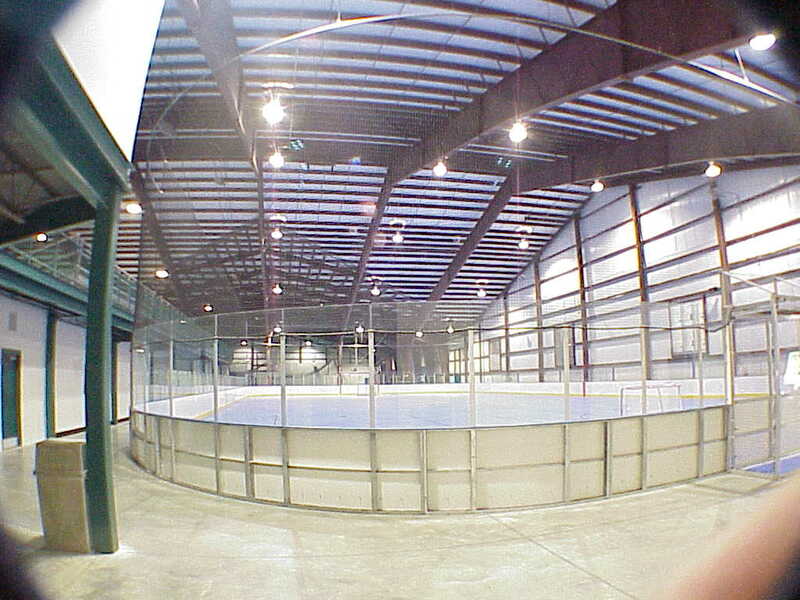 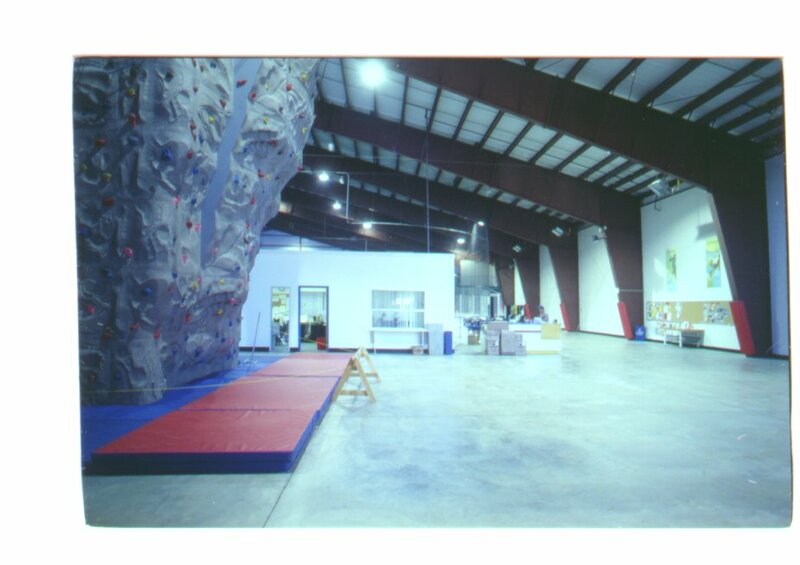 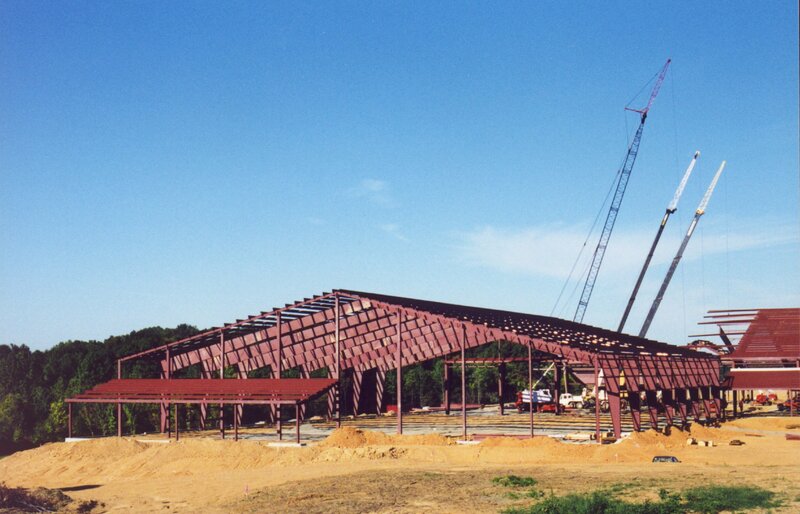 Metal building rigid frames provide an economical solution for these large clear spans. 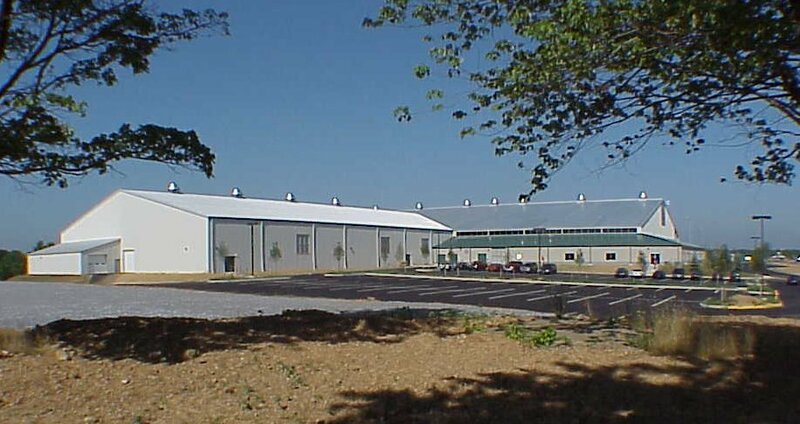 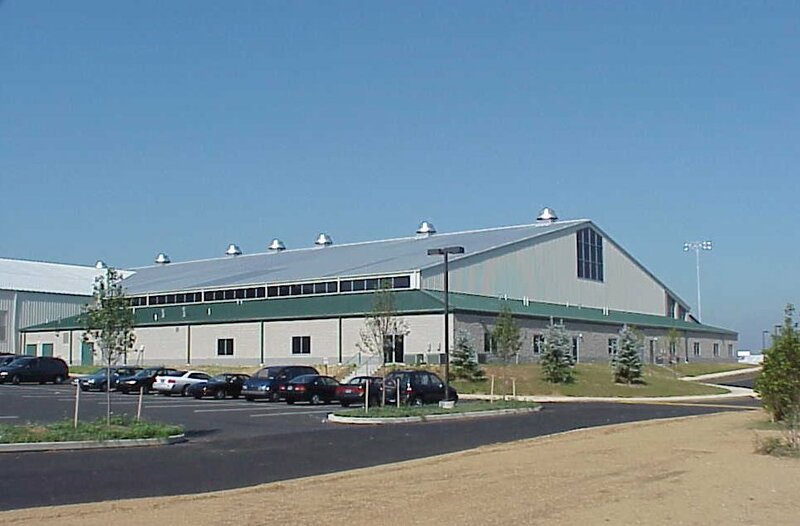 Standing seam roof and metal walls combine with conventional masonry walls to complete the attractive exterior.